Elizabeth Purdy-Bergin joined Sleeper Sewell Insurance in 2013 as a vice president bringing over 15 years of experience. . The University of Texas-Dallas graduate and certified employee benefits specialist has worked extensively in the areas of group health and welfare plans, along with individual and disability insurance. She also has experience in sales and marketing support for professional service firms. Purdy-Bergin is extremely active in the community. 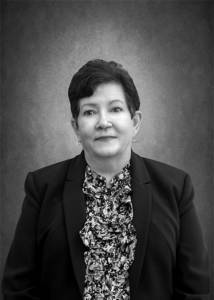 She is a past president of the Richardson Rotary Club and the Dallas/Fort Worth chapter of the International Society of Certified Employee Benefits Specialists. Additionally, she is vice president of the Richardson Rotary Scholarship Foundation, a member of the Leadership Richardson Alumni Association, the North College Park Neighborhood Association and Crime Watch Patrol and St. James Episcopal Church. Purdy-Bergin also serves on various committees for the Dallas Association of Health Underwriters and the Richardson Chamber of Commerce.